Don't take our word for it - here's a few comments from our students which we hope will help you decide whether Tai Chi and Qigong is what you're looking for. "I would like you both to know how grateful I am that I discovered you and your classes and just what a significant part qi gong has played in my recovery over the last 3 years from what had been a very low period in my life. I really believe that ‘when the student is ready, the teacher appears’ and I feel blessed to have benefitted from your enormous expertise, insight, awareness and your patient teachings, as well as the lovely people I’ve met through coming to your classes"
"Some two years ago Barbara fell from a stool whilst cleaning our tall fridge and broke both bones in her right wrist needless to say there followed several months of recovery and discomfort. Following her recovery the hospital conducted a number of test including a DEXA scan which confirmed that Barbara had Osteoporosis and suggested that in addition to medication it would be beneficial to take up Tai Chi. We saw and took up the offer of a taster introduction to Tai Chi run by Longwater Tai Chi in our local village community centre and from that day to this we both attend a weekly session with you, I originally only attended to support Barbara however we are both hooked and look forward to it each week. Barbara has regained her confidence and sense of balance so is back to cleaning the fridge on her stool, Barbara is also finding that she is more relaxed and her blood pressure has returned to normal. I have also noticed that I feel more relaxed in mind and body; and have a better sense of balance as well as the ability to do more with my left hand than previously, I am naturally right-handed. 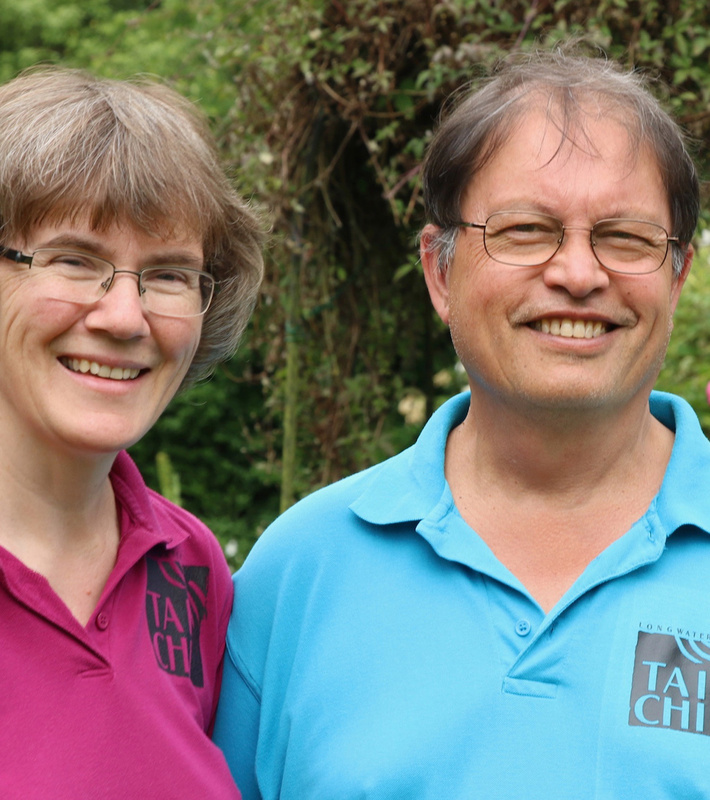 "Tai Chi classes with Patrick and Jane are enjoyable, stimulating and also relaxing. There is a definate 'buzz' for me and a real sense of achievement. They are highly qualified and very experienced leaders and their classes are structured, sequential and cumulative with opportunities to revisit moves and postures. "I enjoy the Qigong class run by Gina she has a very calm and patient way of teaching. The movements to music are gentle and not too repetitive, ideal for me as I have fibromyalgia. We are encouraged to work within our individual capabilities, a definate advantage for me as I can sit and still do some off the exercises. My balance and coordination are improving, making it both physically and psychologically beneficial." "First of all I've to say a huge thanks to Longwater - they are great. When I came over from another country I was a little bit scared because of my English - but I´ve found a warm welcome and it was easy to adapt in the class. I work as an Ecologist, which sounds like a nice job but I spend most of my time in front of my laptop or travelling by train to meetings. So, after years of thinking “I need to slow down. I must look into doing Tai Chi.” I feel very lucky to have found Jane and Patrick.